Parents' Night Out? 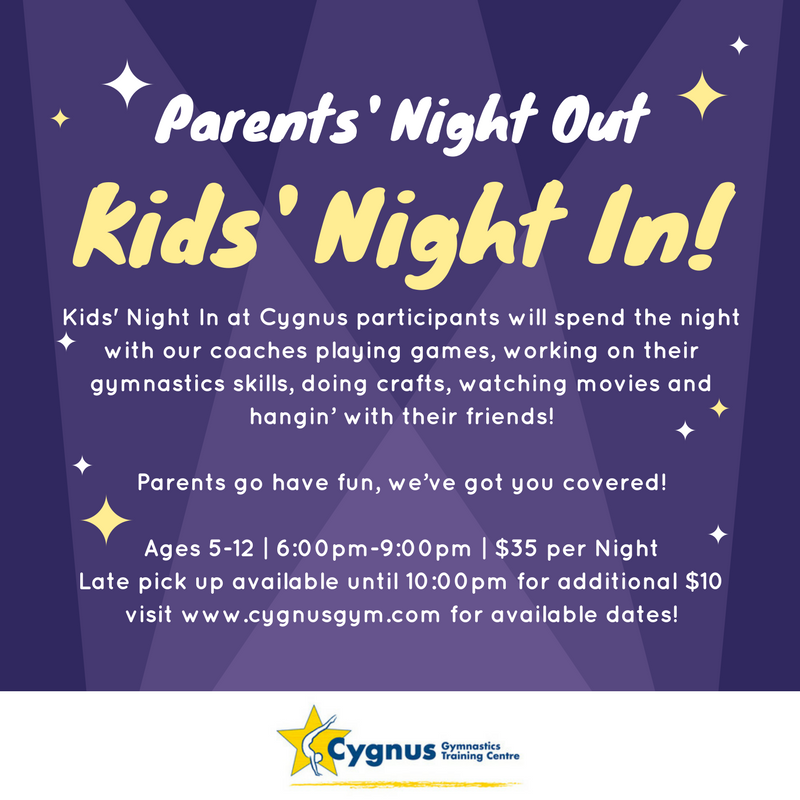 Kids Night In @ Cygnus'!! Kids can spend the night with our coaches playing games, working on their gymnastics skills, doing crafts, watching movies and hangin’ with their friends! Parents go have fun, we’ve got you covered! 50% off second child in the same family! Check here for upcoming Kids Night In Dates!